Just after Bowmore, we continued the 2014 Scotland Trip with a very much anticipated visit to the Bruichladdich Distillery. I had tasted Brucihladdich The Laddie Ten and enjoyed it, we were sold by the turquoise box and the “Progressive Hebridean Distillers” moniker that they were touting. The weather was beautiful, the sun was up, and Bruichladdich is just on the shore, with everything being soooo quiet and nice. One wonders what “progressive” means. If you were also wondering about “hebridean“, i’ll let that slide. I’ll elucidate it for you: pretty much nothing. It’s really just a marketing gimmick. What they say is that ‘progressive’ means they are willing to take chances and experiment with the ingredients of their whisky. That means mainly casks. Oh, and also a bit of experimenting with types of barley. As it concerns the casks part, the explanation lies not in the progressiveness of the distillery, but in it’s small size and lack of funding, which leads to difficulties in procuring casks. So they experiment. I admit, I am somewhat critical mainly because the entire atmosphere, the colors, the visitor center, the marketing hype just makes one expect the lot out of Bruichladdich, and one finds the oldest stills, the oldest wash tuns, the oldest everything in Islay when actually visiting the distillery. 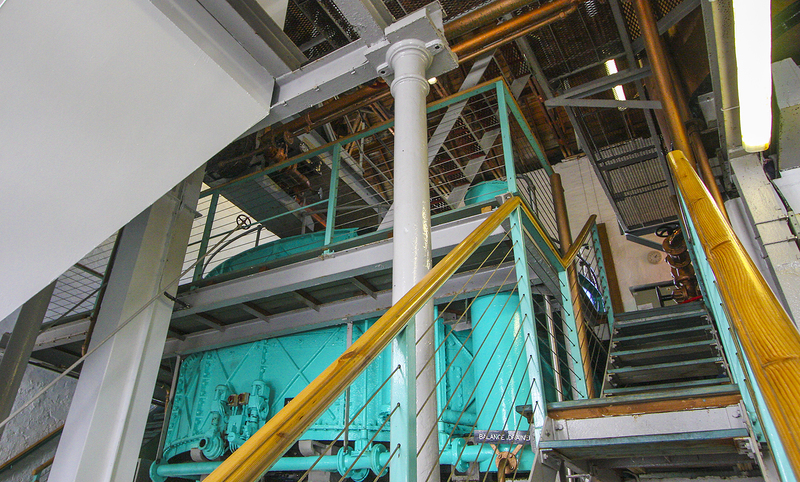 They are however masters of marketing: everything possible is turquoise, the tartan looks the best everywhere, the colours are delightful, and there are hundreds of bottlings on the walls, giving you the impression that they are very prolific. Look closely at how all the numbers relate ! 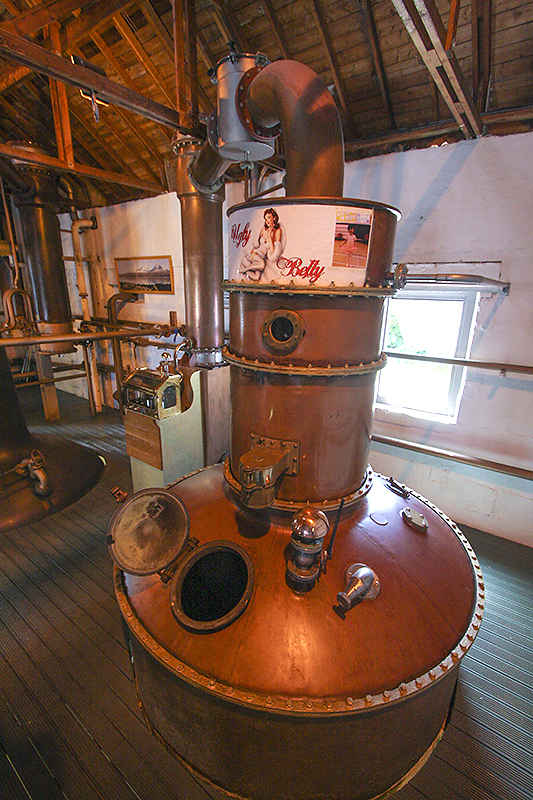 Perhaps the funniest thing was the following still, If you have followed the distilleries series here on watcher.ro or if you have ever searched for a whisky still, you notice that this one looks different (uglier?). 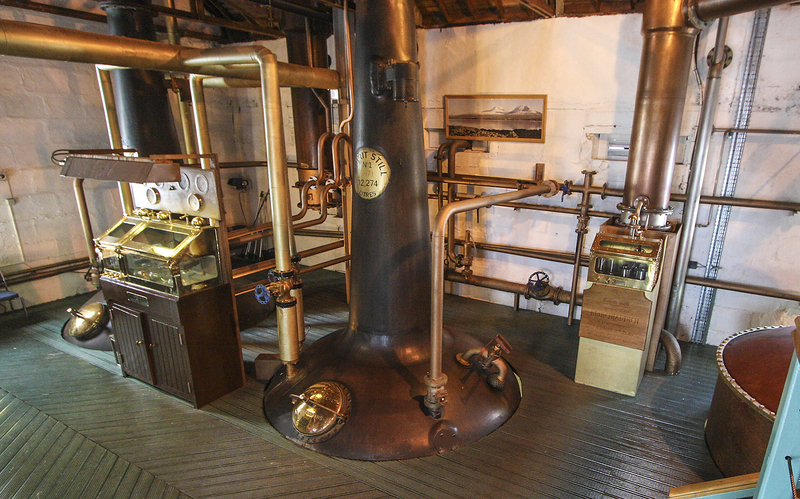 It is used for distilling gin, not whisky. The reason for distilling gin is that it is much cheaper to produce, and they can sell it instantly (as opposed to single malt which needs at least 3 years to mature, and generally 10 or more to be in the ‘correct’ league). 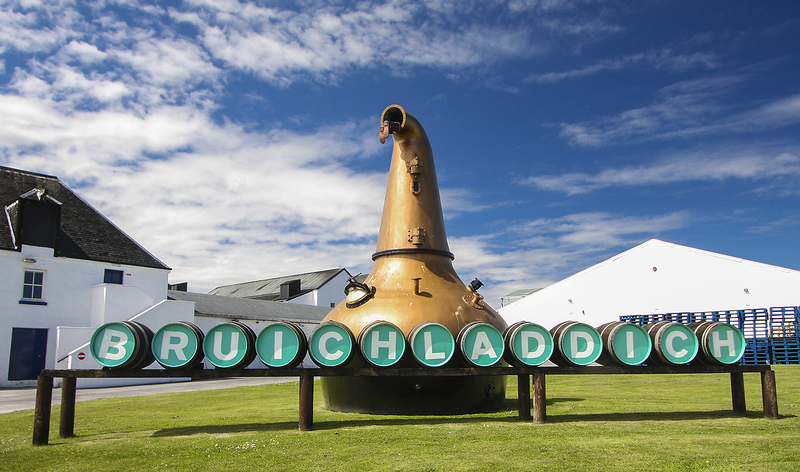 As with other names in Islay, one needs to ask the locals about the pronounciation. In Bruichladdich’s case, they take every opportunity to inform you that (and I kid you not – this is the actual quote) “the ch is silent”. Of course, there are 2 (!!) ch s in Bruichladdich, so the information is not very helpful… The official pronounciation (if it matters to you) is bru-h-la-di. 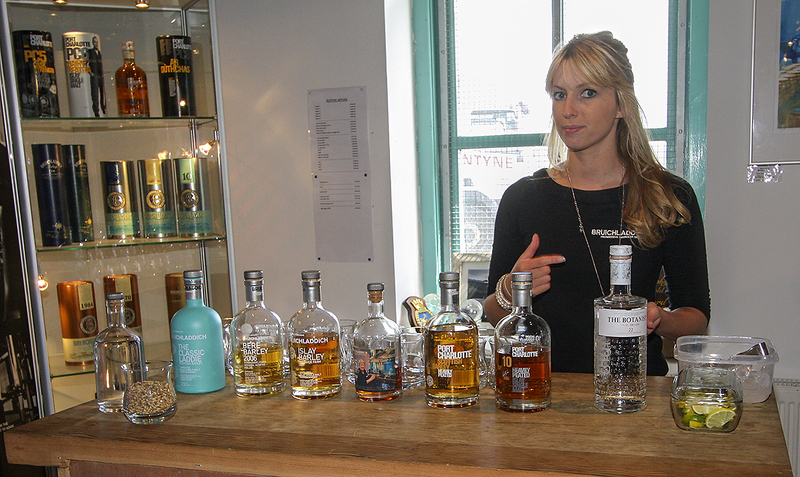 Tour finish at Bruichladdich distillery – tasting session. As always, I promise that more posts from this trip will follow, so be sure to subscribe and have them automatically delivered when they are pressed ( by email or via RSS). Until then, have a look around for more travel photos from around the world.